EVERY other new car sold these days is a diesel, such has been the rise in popularity of the modern diesel car. It’s a rise that’s been driven by the need to comply with European Union directives to meet stringent targets for urban air quality. Long gone are the days when the smoky, polluting, noisy diesel was the province of commercial vehicles, since the EU’s ever-toughening emissions standards have driven motor manufacturers to develop clean, efficient, refined and powerful diesel engines against the odds. They’ve risen admirably to the challenge of modernising the diesel’s dynamic and environmental performance, yet those in power have concluded that the brilliant achievements are anything but. Not only is it the fierce technological developments of the past 10 years or so that have emancipated the diesel, but ironically, it’s also the mandatory reduction of CO2 emissions imposed across all vehicle makers. And let’s not forget the global issue of dwindling fossil-fuel reserves. When governments and organisations such as the EU tell car makers they have to lower their average range-wide CO2 output by near-impossible amounts, they don’t say how it’s to be done, as they don’t know. Fortunately, the manufacturers know precisely what to do, and they long ago determined their only option was to improve diesels and sell more of them. They made them so good that the diesel became the panacea for relentlessly rising fuel prices (brought on both by Middle Eastern instability and ever-rising fuel duty) and the fossil-fuel problem. But the Government didn’t like it, and I’ll tell you why not. They foresaw a near future in which 75 per cent of cars were diesels averaging 55mpg, and 25 per cent were petrol doing 30mpg, then they calculated how much annual loss in fuel-duty income that would represent, and broke into a cold sweat. You can’t have it both ways, fellas. Did you know that about 65 per cent of the price of every litre of fuel you put in your tank is just tax? And that they even charge tax on that tax, through VAT? It’s disgraceful. And to add insult to injury, the Government slapped additional tax-take on both diesel fuel and diesel company cars, so rather than incentivise their use, which saves vast amounts of fuel and drastically lowers CO2 (both of which they claim to want) they actively disincentivised them, having pushed us to buy them. These masters of disinformation do a cracking line in delivering mixed messages, I’m sure you’ll agree. Now the latest diesel ‘scare’ is that particulates (soot) from diesels is killing people. Few of us are falling for it, though, since we’ve been through this two or three times already in the last 25 years. 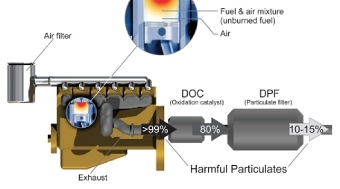 Besides which, diesels now have particulate traps in their exhaust pipes that almost negate the soot. Another old chestnut, that diesels produce more potentially harmful oxides of nitrogen (NOx) than petrols (which is true) is also being touted as an excuse for squeezing more dosh from diesel drivers. But the latest, super-clean Euro6 emissions limits will be imposed on all new diesels at the start of January, and all Bosch diesel injection systems now incorporate ‘de-NOxing’ technology, so the problem, if indeed there is one, will sort itself. So if you ever want to know truths on the subject of diesel, do yourself a favour by NOT asking a politician. 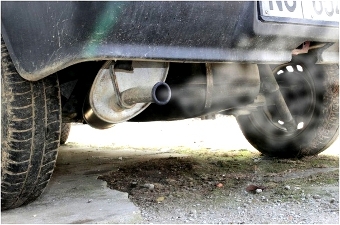 ACCORDING to a survey of 2,000 motorists by car ‘supermarket’ Motorpoint, the vast majority of motorists object to proposals for further charges for driving ‘dirty diesels’ into cities and major towns. The online poll found that 75.4 per cent of respondents would not be prepared to put up with paying more to ‘help councils meet tighter regional pollution targets after 2020’. I think the reality is that they want our dosh to cover the huge fines Brussels will slap on them for breaching the pollution targets. There are plans afoot for a proposed Ultra Low Emission Zone on central London roads that would see £10 a day charged on the most polluting diesel cars on top of the already steep £10 daily Congestion Charge. Other cities are thought to be considering similar schemes in an attempt to avoid the EU fines.